Where you find gated communities, cars being given as bat mitzva presents, hundreds of thousands of dollars being spent on weddings, people with “summer houses,” that is where you find talk about “social justice.” In other words, wherever you find the highest support for social justice, you’ll have the hardest time actually finding any. Standing out amid all the hypocrisy, though, is a unique Jewish tradition that has taken hold over the past few decades: “social justice Passover.” It would be worthwhile this year, both for those who do and do not celebrate this tradition, to keep in mind that the notion of social justice can be reinvented, but only if we focus on tangible results and see the faults in the rhetoric. The Haggada interpretations it suggests include one that argues for “complete equality and social and political rights” in Israel. It asks us to consider the source of our privilege. It speaks of “caring for the most vulnerable” and “supporting Jewish education.” The four questions are reinterpreted as “Why are some people enslaved today” and “Why on this night do we invite the hungry and lonely to share our meal?” Many of these are good notions. But they’re superficial. Rather than asking “why we invite the hungry,” why not ask “why is there no hungry and lonely person here tonight?” Instead of talking about “slavery today” we should ask, “what did you do to prevent slavery today this year?” Unfortunately, part of the premise of these “social justice” Passovers is lack of commitment to social justice, because they reward talking about social justice over actually doing anything. Let’s talk about social justice. The Forward has done excellent reporting on the Jewish charity industry and non-profits. The 2013 salary survey had many interesting insights. Outgoing Anti-Defamation League leader Abraham Foxman took home $660,000, and the head of the JNF in North America got $344,000. The head of Peace Now “only” made $220,000. A separate report noted that the network of 3,600 Jewish charities in the US have $26 billion in assets. Of $3.7b. in donations, some 38 percent goes to Israel-focused groups. This sounds well and good. But we have seen, time and again, that this money is seemingly squandered, not for the socially disadvantaged, but merely to fill the pockets of the wealthy, the connected, the “Jewish professionals” who were able to get closest to the trough. In one scandal the employees of Jerusalem’s Hadassah Medical Organization, which is in financial distress, were told their CEO’s salary. According to Haaretz the CEO was making NIS 99,000 a month. One report noted a worker saying, “It’s like getting a letter from Marie Antoinette with a cake recipe attached.” Instead of getting into whether this salary is too high, let’s express it in terms of the monthly salary of a cleaner. In February, the salary of contract workers who work in cleaning was raised to NIS 4,640 a month. So the CEO of Hadassah was “only” making 20 times the salary of the people who cleaned the toilets. I won’t hazard a guess as to how many of the “Jewish professionals” – the armies of academics, film critics, NGO workers, kibbutzniks and all the rest of the good-hearted Israelis who preach social justice – are making 10 or 20 times what a cleaner makes. Because the answer might make us sick. Do we really want to find out that the billions of dollars plowed into Israel by US donors doesn’t go to the cleaners, but to making a tiny elite even wealthier? There are many other groups consigned to the gutter so the fast lane of social justice can be paved over them. Let’s look at the conscript soldiers. They earn an average of NIS 400 a month for three years of compulsory service. Let’s compare that to the head of Americans for Peace Now. Their CEO was reported to make $200,000 a year, or $16,000 a month. Her annual income is 133 times that of an Israeli soldier. That’s extraordinary, if you stop to think about it. 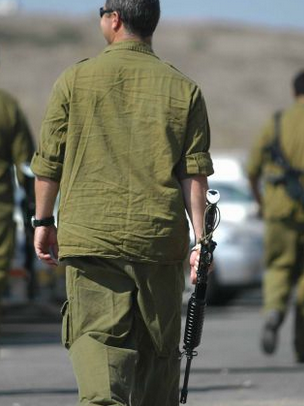 An IDF soldier can often not even afford her cellphone bill on her army “salary.” If you took a mere $1b. out of the charity US Jewish organizations dispense to Israel, you could pay each IDF soldier $10,000 a year, so they could have a life of dignity – which would be especially helpful to soldiers from poor families. Of course, that would mean less BMWs for others. On Passover let’s not forget the IDF prisoners, either. Yes, 14,000 IDF soldiers a year, part of the “people’s army,” are sent to prison; about 10% of all soldiers in the army. Among those is the infamous tragedy that 50% of male Ethiopian Jewish soldiers are sent to IDF prison during their service – for such major infractions as working part-time during their service. They work at night and soldier by day. When people gather around the Passover table, whether or not they talk social justice, how about considering those soldiers, sent to guard the state but sitting in a dirty cell in Prison 4 near Ramla; 90% of them for minor infractions such as being late to base. The social justice Haggadot ask us to talk about poverty and slavery. The State Comptroller’s report for this year tells us 360,000 children go hungry at some point during the year in Israel due to poverty. One wonders if some of the $1,000,000,000 donated so a few CEOs of “non-profits” can have fat salaries might possibly be siphoned off to give those kids a meal once in a while. Could a CEO of a “non-profit” donate just one month’s $20,000 salary to give those children something? 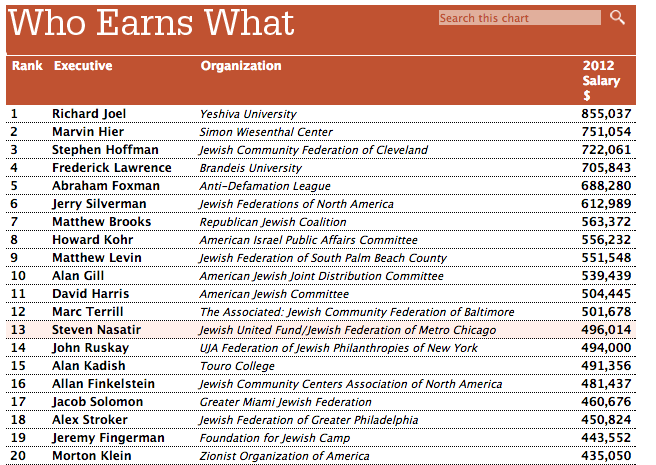 How about donating all the first-class tickets that the CEOs of these “Jewish charities” receive during one year? Would that be too much to ask for “social justice”? On the face of it, social justice is a good principle. But if you’re preaching about it from behind the desk of an acceptance committee in an Israeli gated community, you’re a hypocrite. When salaries for the poor stand at NIS 5,000 a month and the cost of a home is NIS 1,000,000 – which means home ownership and dignity are out of the hands of the majority of Israelis – we are not a free people. When 14,000 soldiers are in and out of prison, and even when out of prison receive monthly salaries that amount to the cost of a pair of jeans; while the heads of the “non-profits” make 133 times more than they do, there is something fundamentally wrong. We are a free people in the land, but we are being financially strangled, and true social justice demands recognizing that and taking action, not just talk.